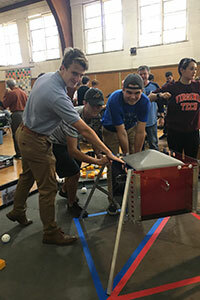 Members of the HS “First Tech Robotics” team recently attended a workshop in Pleasantville, NY, where they joined teams from across the Hudson Valley. 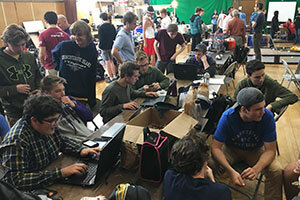 Students collaborated with different teams, attended workshops on coding and building strategies, and had a great time! For more information, contact WVHS technology teacher, Mr. Mike Stolt at mstolt@wvcsd.org.